SAN DIEGO, Calif. /California Newswire/ — Mortgage Capital Trading, Inc. (MCT), a leading mortgage hedge advisory and secondary marketing technology firm, announced that it was designated a top 100 mortgage technology firm by HousingWire for the first time ever. The annual HW TECH100(TM) is designed to recognize the most innovative technology companies in the U.S. housing economy. 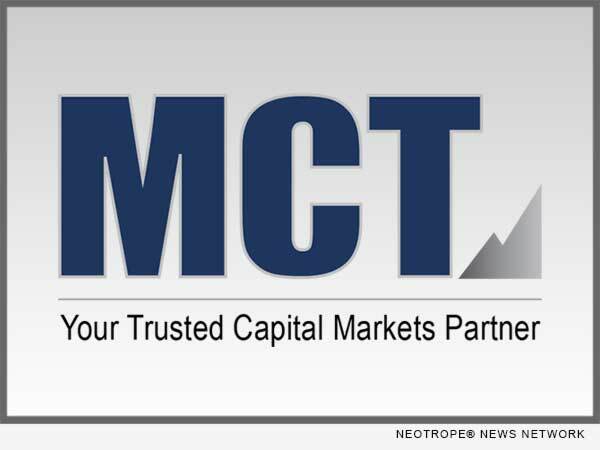 Mortgage Capital Trading, Inc. (MCT) is a capital markets-focused risk management and advisory services company providing capital markets services and software to clients engaged in the secondary mortgage market. Founded in San Diego, California in May 2001, the company has expanded to include field sales and support offices in Philadelphia, Dallas, Santa Rosa, and Charlotte. MCT is a recognized leader in the industry and currently supports more than 150 clients on the HALO (Hedging And Loan sales Optimization) Program. The company also develops and supports MCTlive! (TM), an award-winning real-time, trading and best-execution secondary marketing platform. MCT’s LockCentral(TM) is the industry’s largest outsourced centralized lock desk service. In addition, MCT offers a suite of tools and supporting guidance for MSR needs. For more information, visit www.mct-trading.com or call (619) 543-5111. HousingWire is the nation’s most influential industry news source covering the U.S. housing economy, spanning residential mortgage lending, servicing, investments, and real estate operations. The company’s news, commentary, magazine content, industry directories, and events give more than one million industry professionals each year the insight they need to make better, more informed business decisions.